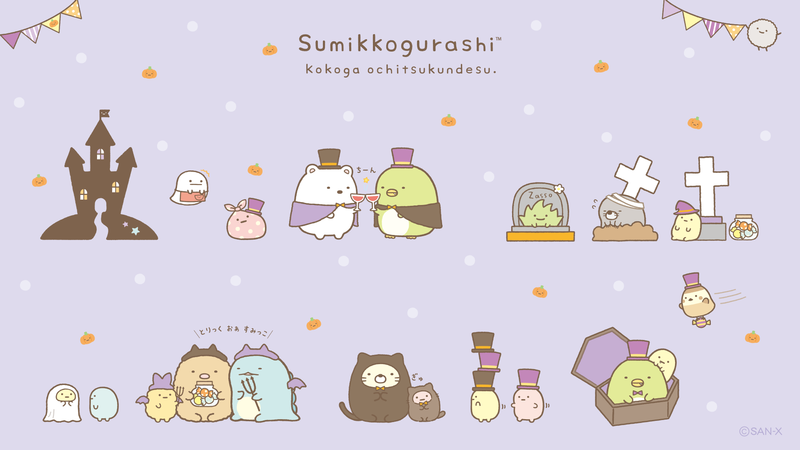 Sumikko Gurashi characters are already excited to explore the haunted house. Hello Kitty celebrates Halloween – all treats, no tricks! – with Black Cat Hello Kitty, Pumpkin Hello Kitty, Ghostly Hello Kitty, Devil Hello Kitty and Mummy Hello Kitty macarons.